Businesses big or small are realizing the massive benefits of Social Media Marketing Orange County and its increasing importance to stay relevant and attract new customers. Gone are the days when your assistant was the first point of contact between the potentials customers and your company – that role is being replaced by websites and social media profiles. Did you know 53% Of Americans say they are more loyal to brands they follow on social? Did you know Close to 2 billion people are active mobile social media users? With more and more people turning to their mobile devices and social media for buying, there are many reasons why your business should be active on social media. Social Media Marketing Orange County will help your company get increased exposure, with just one click your message is displayed to multitude of people. Social Media Marketing Orange County helps you find customers already talking about your business, information you can leverage to reach wider audience. It gives you insights into what your audience is looking for online, Getting to know your audience can help you learn creative ways to reach them via advertising or organically. Catering and targeting to this degree will lead to increased conversions. Sometimes a customer won’t reach out to you directly if they have a problem, but will go ahead and post a complaint online. Many consumers now using social media to connect with a brand, 42%expect a response within an hour. It allows for prompt feedback from your consumers good or bad. The time between knowing if a product or a campaign is a success is quicker. This means you can respond and resolve issues in a faster manner. It can offer opportunities you may miss out on by not having a social presence online. Negative comments and experiences can be addressed– keeping customers happy and showing potential customers that you care giving you a little edge over the competitor. It can help you keep an eye on your competitor. You can use social media to target your competitor’s fans, see what they may be doing differently, that you can improve on or simply identify ways to stand out. When done correctly could help you increase sales. An audience that is truly interested in your brand, product or services will respond to your messages and convert. Having a social media presence can help customers to “get to know” your brand, giving you more possibilities to gain their business. It is a great inbound marketing tool that can help you generate leads and build your email list. Publishing and posting content that is relevant to both your brand and your audience is an excellent way to attract customers who are truly interested in your brand and what you have to offer. Social Media Marketing Orange County can be time consuming, but it is a MUST if you own a business or brand, as consumers turn to social media not only as a point of contact, but as a research tool. Remember that what you post online on social platforms is a representation of your business, and with seconds to capture someone’s attention, you always want to put your best foot forward. 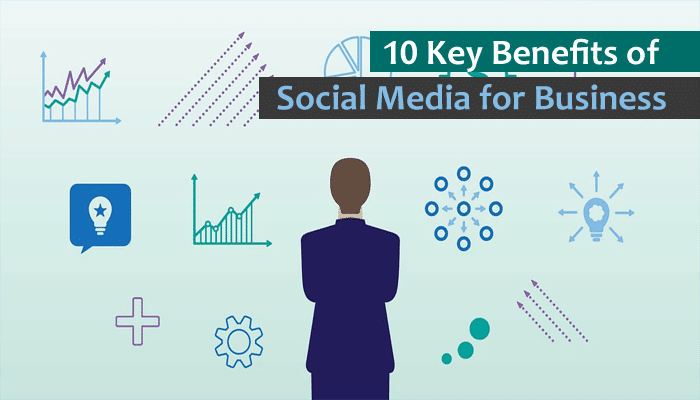 Done right, your business can reap the benefits of social media marketing. If you have anything to add or need to know more about social media, feel free to connect with us here.